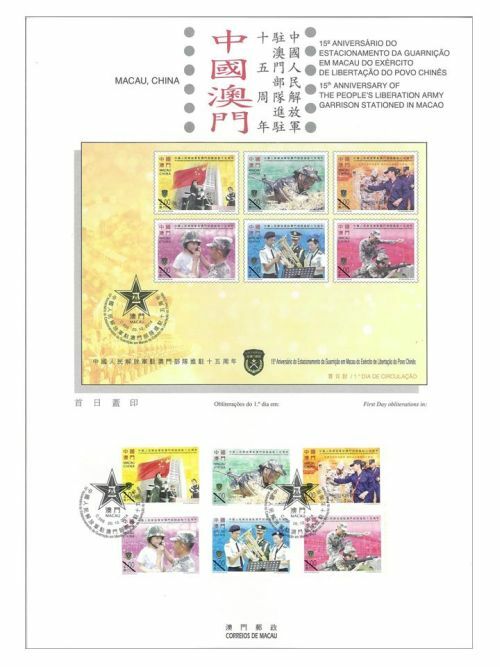 To commemorate the Macao SAR and the Macau Garrison have gone through 15 marvellous years together, Macao Post will issue the stamp theme “15th Anniversary of the People’s Liberation Army Garrison Stationed in Macao” on 20th December, 2014. 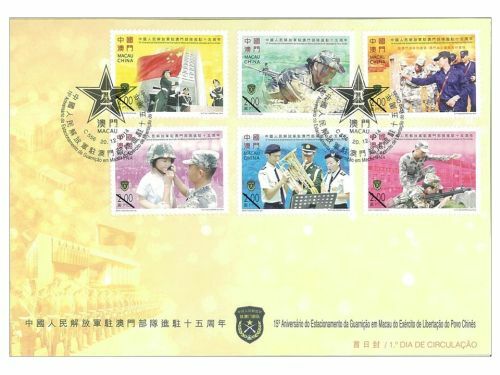 The Government of the Macao SAR and the Macao compatriots are highly concerned about the construction and development of the garrison, providing enormous supports and strong protection, thus the soldiers and the Macao compatriots have developed a profound friendship. 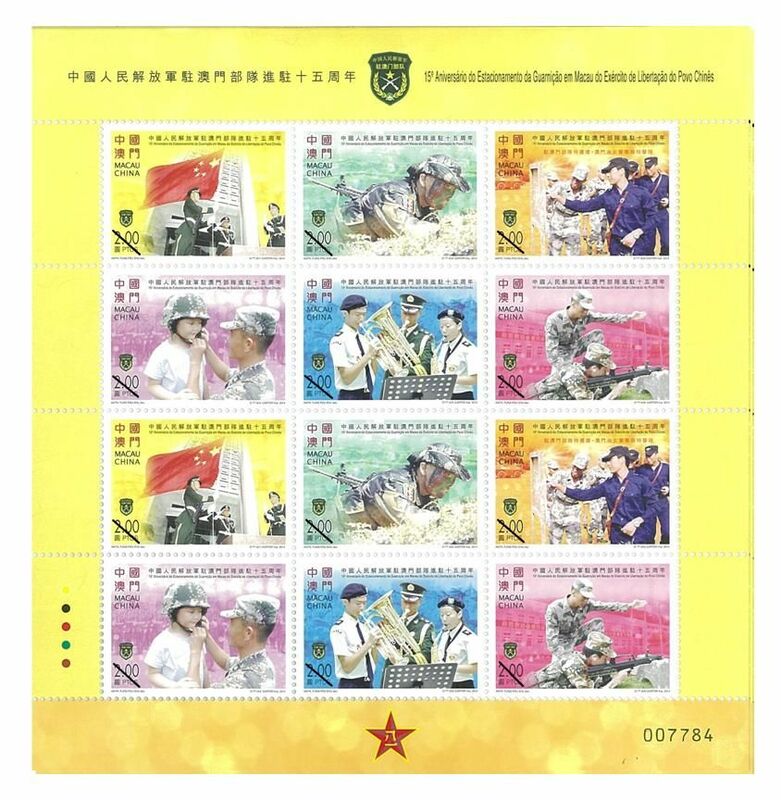 This issue includes a set of six stamps and one souvenir sheet, the images demonstrate the garrison soldiers love Macao and are close to people, they actively participate in social welfare activities, showing the positive image of “a powerful and civilized army”. 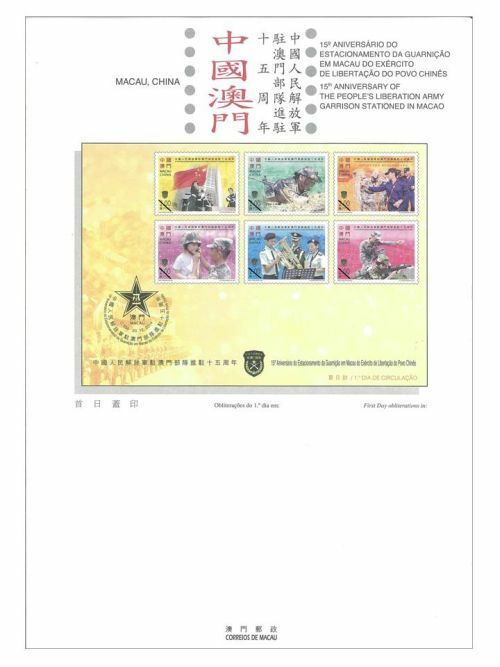 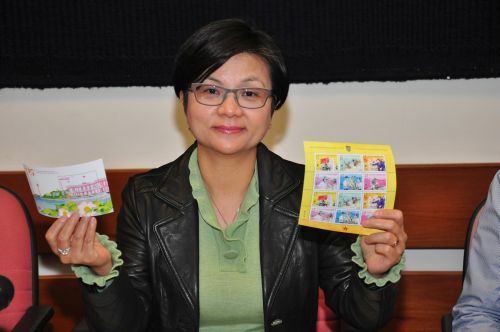 The stamp designer for this issue is Ms. Anita, Fung Pou Chu, and the text for the information brochure is written by the People’s Liberation Army Macau Garrison, Commander Wang Wen and Political Commissar Ma Biqiang. 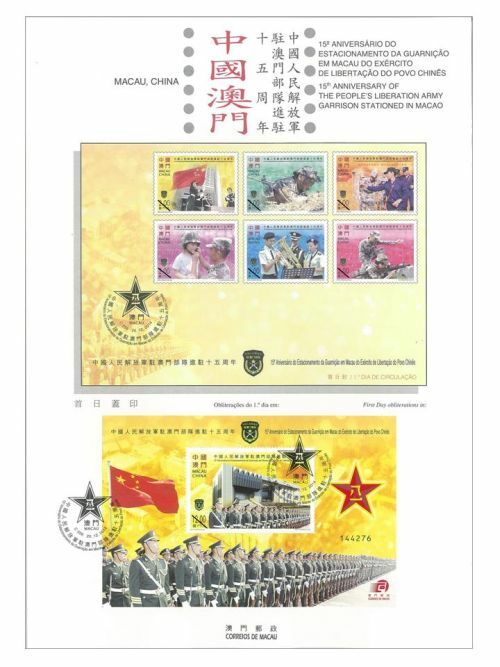 This is the last of the thirteenth issue in 2014. 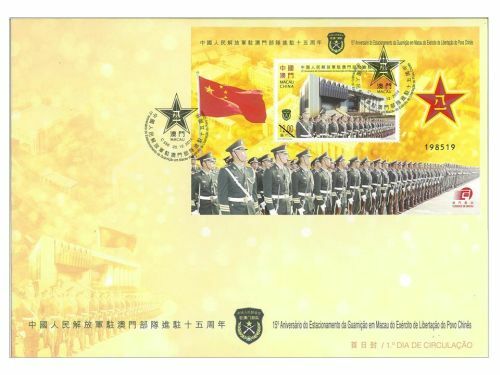 The previous issued stamps are “Lunar Year of the Horse” on 03/01/2014, “140th Anniversary of Conde de São Januário General Hospital” on 06/01/2014, the label stamp “Lunar Year of the Horse” on 14/02/2014, “130th Anniversary of Macao Post” on 01/03/2014, “Animal Protection” on 28/04/2014, “Literature and its Characters – The Outlaws of the Marsh II” on 26/06/2014, “The New Campus of the University of Macau” on 05/09/2014, “Science and Technology – Magic Squares I” on 09/10/2014, “General Post Office Building” on 01/11/2014, “Museums and their Collections IV – Lin Zexu Memorial Museum of Macao” on 05/11/2014 and “Macao Seen by Kam Cheong Ling” on 12/11/2014. 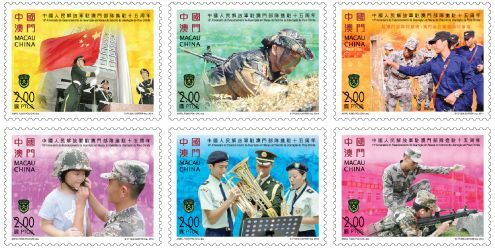 The stamp “15th Anniversary of the Establishment of the Macao Special Administrative Region” also issue at the same date on 20/12/2014. 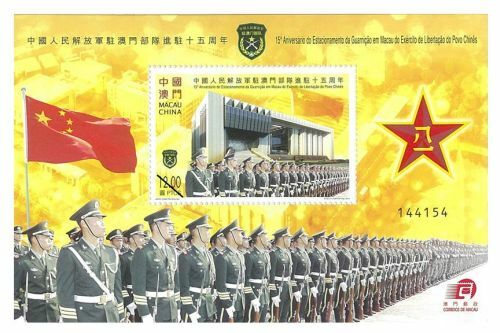 Technical Data of Stamp "15th ANNIVERSARY OF THE PEOPLE’S LIBERATION ARMY GARRISON STATIONED IN MACAO"